14-year-old Levi Edler can solve the Rubik’s Cube in under 10 seconds. He created his own curriculum and has taught numerous classes to kids and adults. 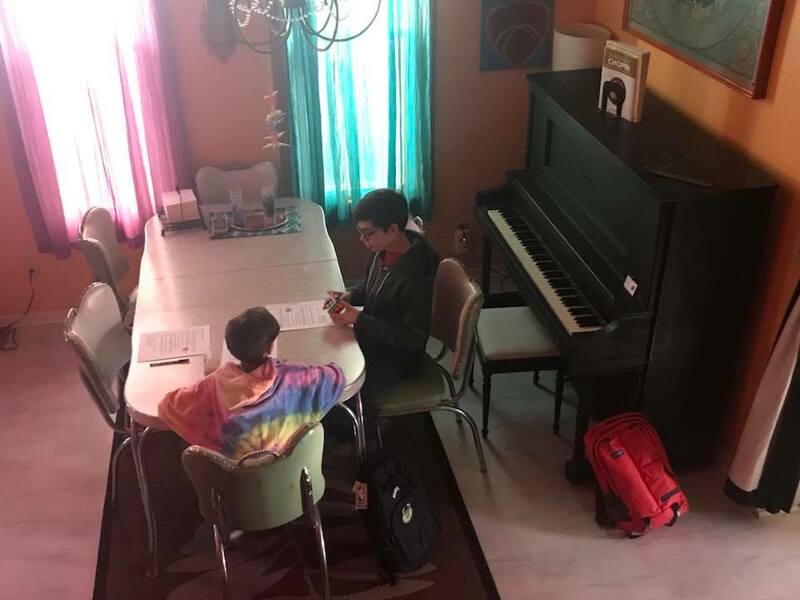 Now, Levi is offering Rubik’s Cube birthday parties or “game nights.” This unique party package is ideal for a group of eight people or fewer. Age range depends on the individuals, but he recommends ages 8 to 108. 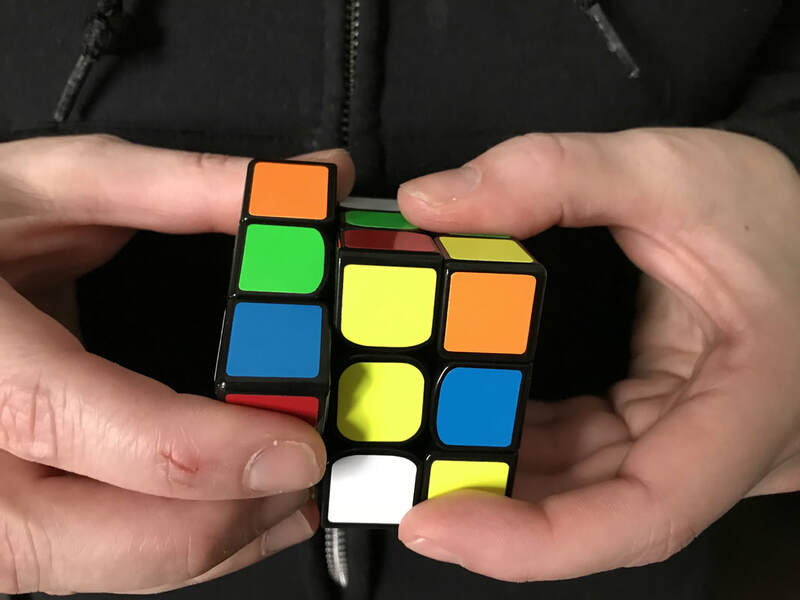 Solve the 2x2 Rubik’s Cube: For this one-hour party, Levi will wow people with “party tricks” as well as teach them how to solve a smaller, easier “2x2” Rubik’s cube. The cost is $100 for up to eight kids and includes the cubes, handouts and follow-up communication. A different price can be negotiated for smaller or larger parties. Solve the 3x3 Rubik’s Cube: For this 2-3 hour party, Levi will also wow people with “party tricks” and teach them how to solve the traditional 3x3 Rubik’s Cube. The cost is $160 for up to eight kids and includes the cubes, handouts and follow-up communication. 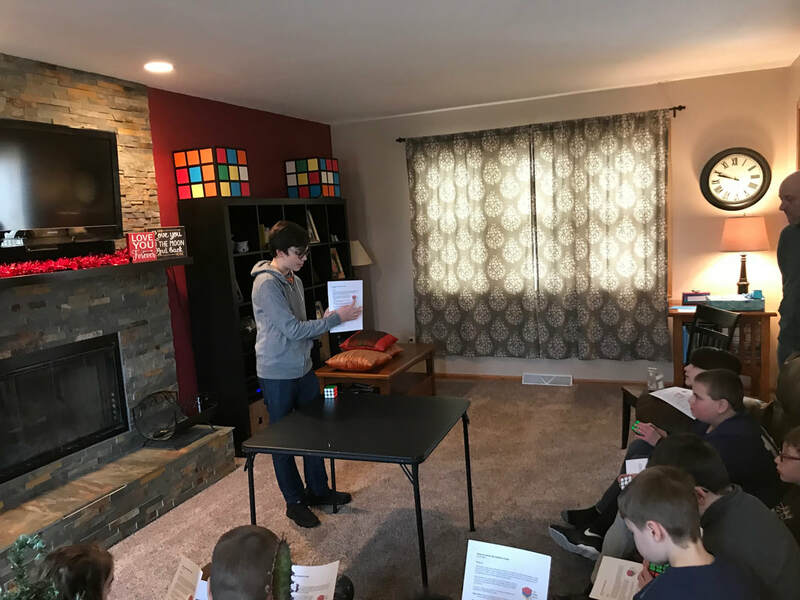 For more information, email Levi or, if you're ready to schedule a party, event, or workshop, contact his mom, Molly, by email or our contact form. Molly attends all of the events with Levi. A great way to connect with your team, help one another succeed and learn something new as a group. Levi will come to your place of business for a 2-3 hour experience. Please contact for pricing. One-on-one (or two-on-one) meet-ups are available for $25. (Cubes and handouts included.) We can meet in Levi's Walker's Point home or at a coffeeshop of your choice. Or, sign up for a class.